Mass protests follow Trump’s firing of Sessions; demand hands off Mueller! WASHINGTON—In a situation rife with irony – given Jeff Sessions’s past record on voting rights, voter suppression and against workers’ rights – citizen groups called mass protests for 5 p.m. local time, coast to coast, on Nov. 8 against President Donald Trump’s arbitrary firing of Sessions, his Attorney General. They said it’s a Trump attempt to derail or cover up Special Counsel Robert Mueller’s investigation of criminal activity by Trump and his associates in the 2016 presidential campaign. Protest locations can be found at several websites. The main one is www.trumpisnotabovethelaw.org/event/mueller-firing-rapid-response/search. 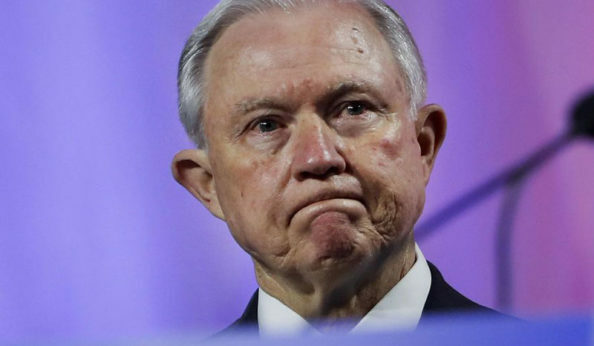 Trump fired Sessions after the president conducted an unhinged post-election press conference, without mentioning the Sessions decision. There, Trump railed at reporters and said the GOP won the 2018 mid-term election when it obviously did not. He called the National Public Radio correspondent “a racist” when she asked whether his campaign trail rhetoric set the stage for targeted white nationalist violence against Jews, Democrats, and African-Americans in the last few pre-election weeks. 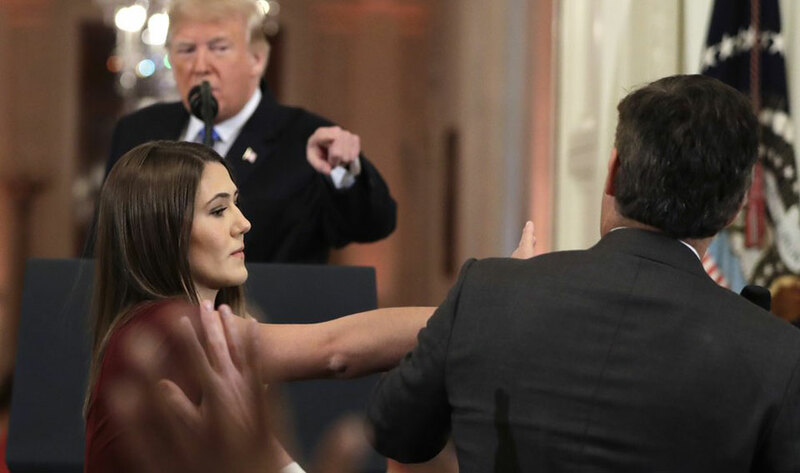 And Trump ended the confab by revoking the credentials of Cable News Network correspondent Jim Acosta, even as a White House intern tried to physically wrestle the microphone away from Acosta, who was asking a question. Acosta was escorted out and also barred from the White House grounds. Trump fired Sessions in a written statement after the press conference and told chief of staff John Kelly to notify him. The firing set off the protests by the Trump Is Not Above the Law coalition. And it led Rep. Jerrold Nadler, D-N.Y., to promise the House Judiciary Committee would probe the firing and the collusion when he takes the panel’s gavel on Jan. 3. Mueller is under Justice Department control. The Independent Prosecutor Law, passed in the wake of Watergate 44 years ago, lapsed in 1999. The activists aren’t waiting for Nadler or the new Democratic-run House. “Donald Trump has installed a crony to oversee the special counsel’s investigation of himself, crossing a red line set to protect the investigation,” the coalition said, issuing its call to action. “It’s clear Whitaker has no interest in overseeing the investigation in a way that is fair, impartial, and follows the rule of law. 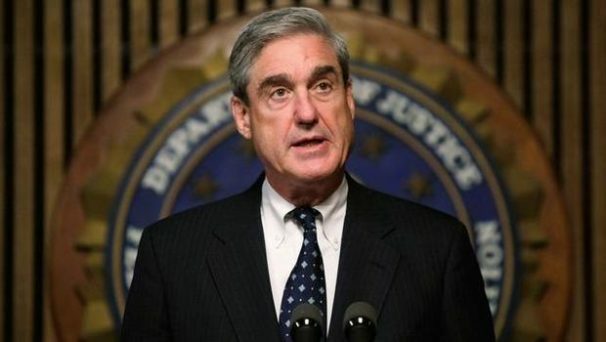 By naming him as special counsel Mueller’s boss, Trump has undercut the independence of the investigation and may have triggered a constitutional crisis,” Teal said. 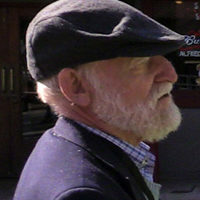 Links to the events are also on Daily Kos’s website, as well as Credo Action’s. “Whitaker wrote in a CNN op-ed last year ‘It is time for Rosenstein to order Mueller to limit the scope of his investigation,’” the Progressive Change Campaign Committee added. “Whittaker will now have the power to do exactly that.” Deputy Attorney General Rod Rosenstein, whom Trump passed over in favor of Whitaker, is in charge of Mueller’s probe – and defends it.